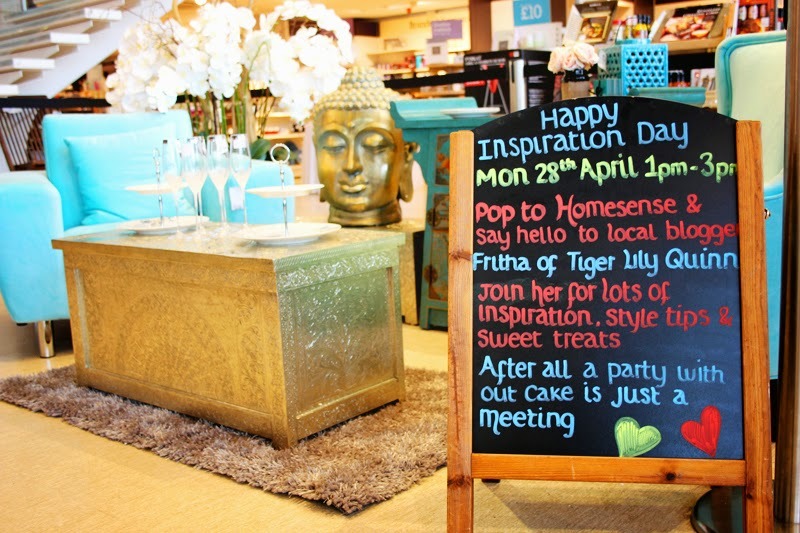 Earlier in the week I attended the Bristol HomeSense store to run an 'Inspiration Day' with local shoppers and readers of my blog. 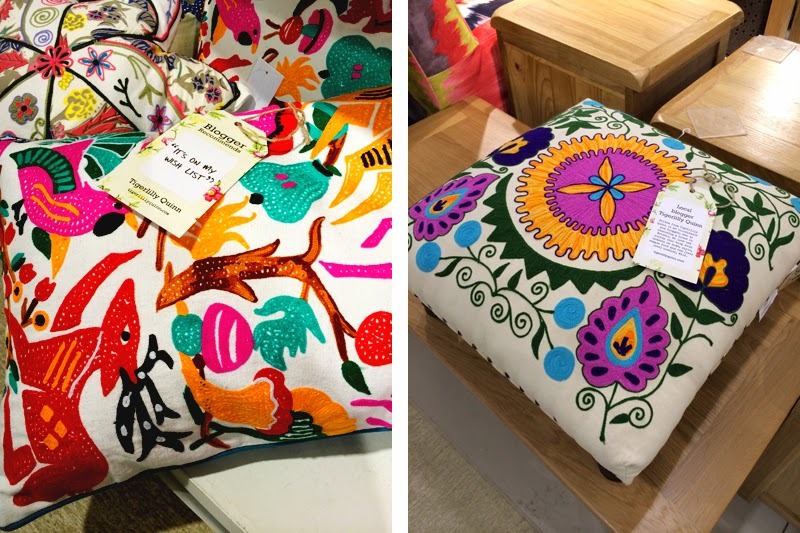 After working on a reader's interior challenge a few weeks back (which you can read about here) we decided to take the same concept to the store and help people with ideas whilst shopping. 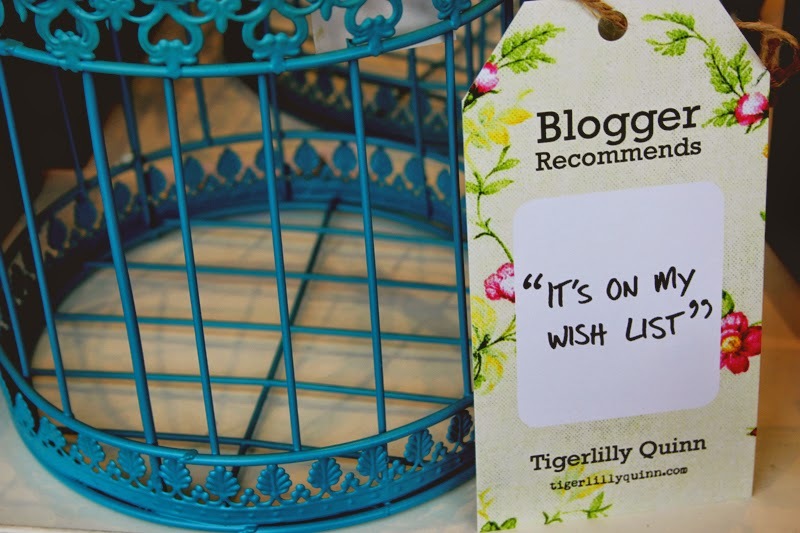 My first port of call when arriving at the store was to take a good look around at all the stock and pop 'blogger's pick' cards on all the items that really drew my eye. What I love about HomeSense is that you can find new stock daily, when I visited only two weeks before there were completely different items to choose from. 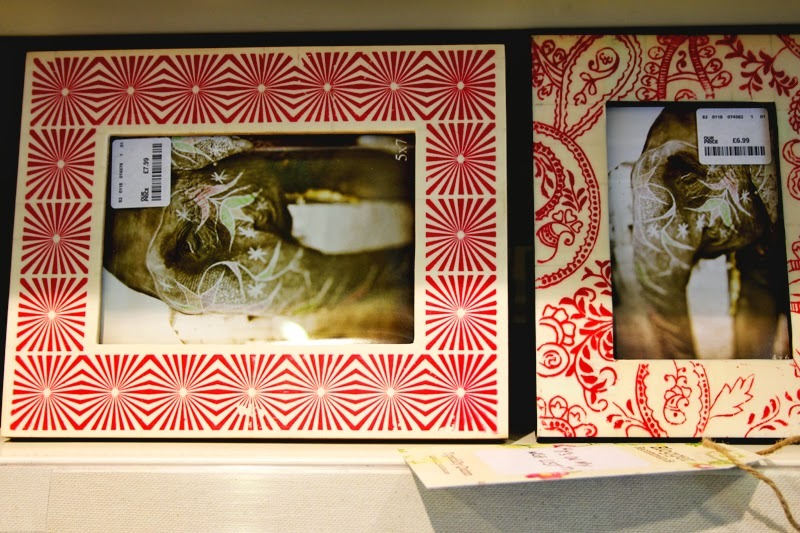 1, There were a great selection of indian and Moroccan themed picture frames in a variety of different shades. I love mix matched frames to create feature walls, I think it's a great idea to choose different sized frames too and not too conceded about aliment or spacing. 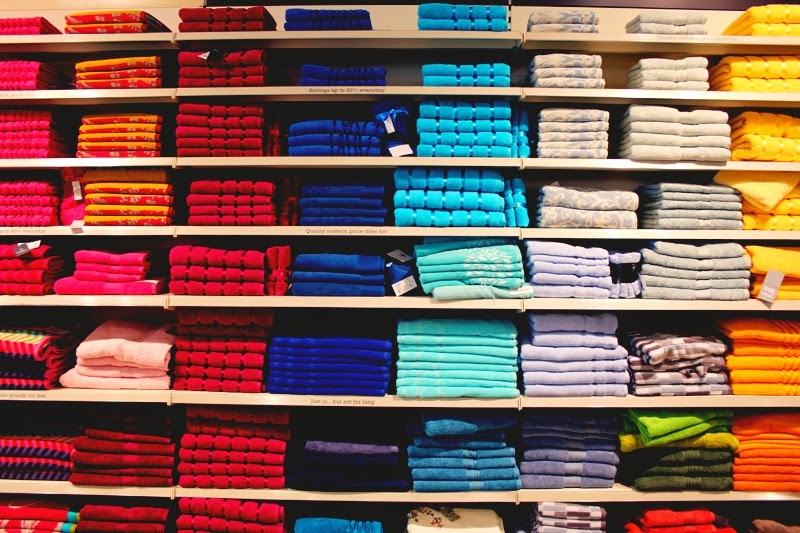 2, My local HomeSense has a great bathroom department, I loved the wide range of colourful towels. I thought the display was so eye catching. I chose the turquoise to go on my blogger's pick though. 3, I am a big fan of colour and especially the colour yellow of late. 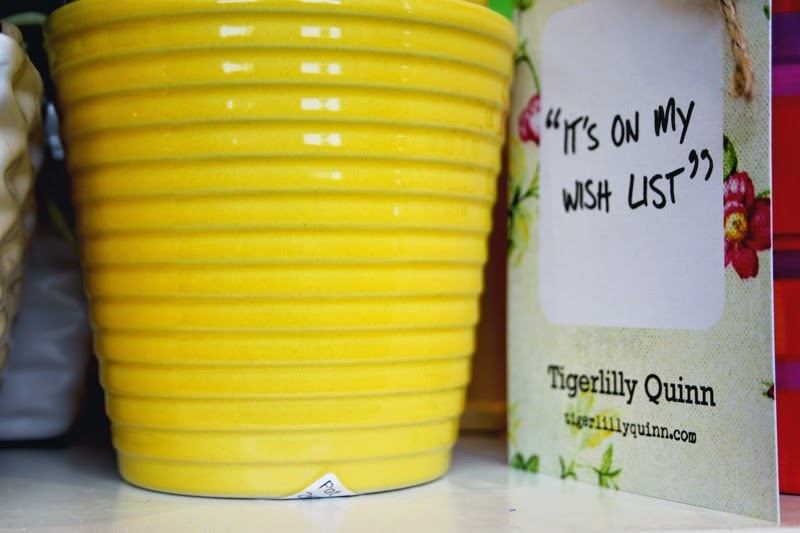 I think little plant pots like these would add that extra bit of fun to your kitchen or living area. 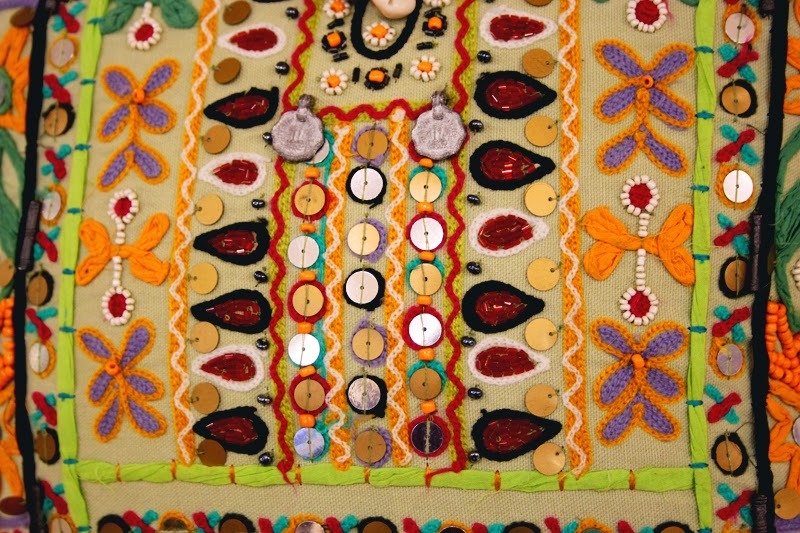 4, There was quite an ethnic, moroccan theme running through the store that day. I love embrodiered furniture and loved the detailing on this foot stool. 5 & 6, I'm hugely guilty of owning way to many cushions or this one would have been coming home with me that day. 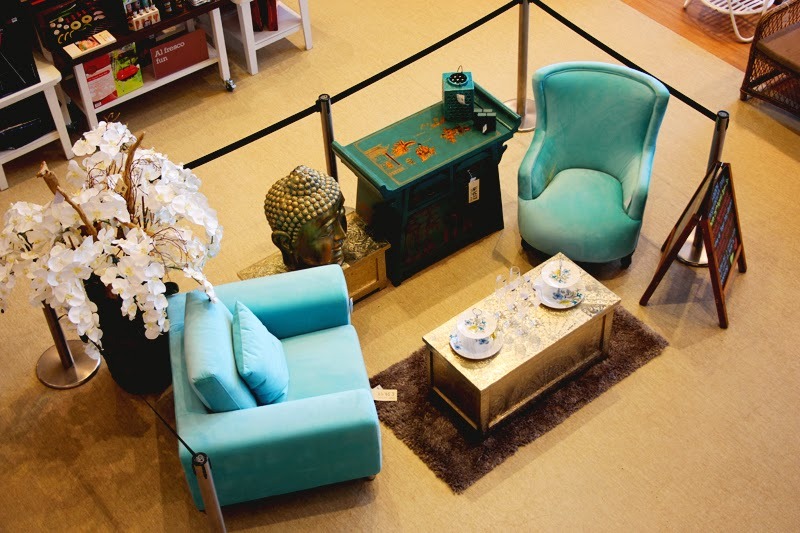 Also love the playful colours on the foot store beside it, we actually picked up a foot stool for my reader in the challenge a few weeks ago as HomeSense seem to have so many great ones in stock. 7, I thought this mosaic themed garden table was brilliant, perfect for someone wanting to add something unique and colourful to a small space. 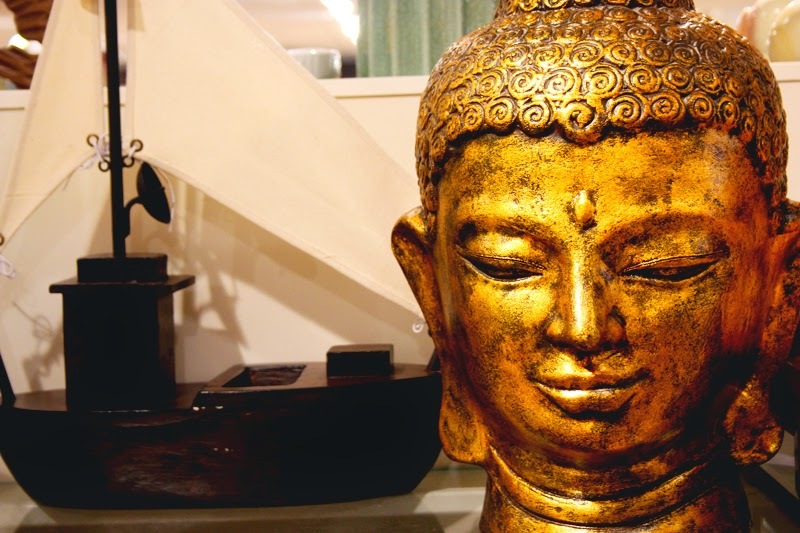 8, A giant Buddha… what's not to love? One of the many reason's why this store is so different to others is the wide range and diversity of their products. I actually think this would love fantastic in both a garden area or living room. Add a turquoise cushion or throw to offset the gold and you have the perfect new addition to your living space! 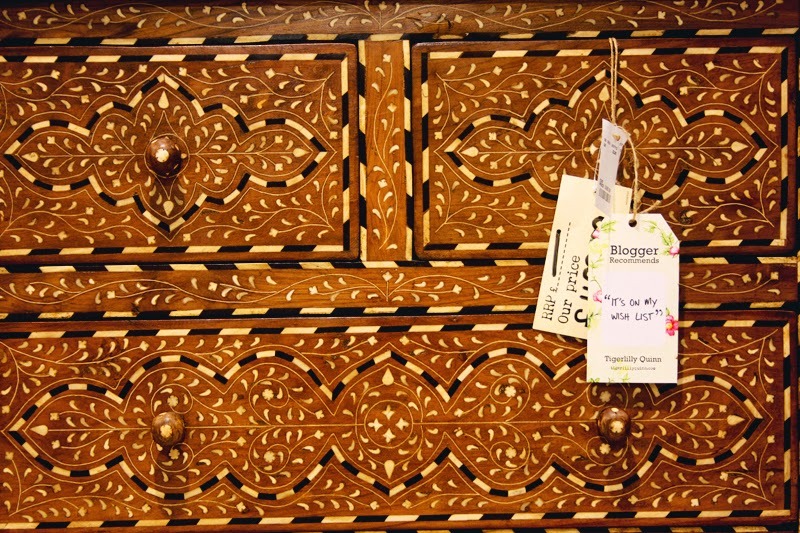 9, These chest of drawers were so beautiful, really unique and you could tell just how much craftsmanship had gone into the product. Like most items in the store there was only one of them which made it even harder to part with. 10, As Spring is here (and summer just round the corner) I found a great number of colourful garden items. I chose this tourquise bird cage which I think would look brilliant hanging from a tree housing some tea lights for those summer evenings. After my top picks had all been found and my cards clearly placed I headed back to the seating area in hope of some readers to chat with. Thankfully I think cake was a great lure and I had some brilliant chats and dished out some advise on questions from customers. I found that the most common question was how to bring light into a room, it was interesting that this was the same problem my reader had had in my previous challenge. I also accompanied a reader round the store and explained the process behind block colours and the use of mirrors to reflect natural light. It was a really fantastic way to spend the afternoon and hopefully a few people left feeling a bit more inspired about their home challenges! We have a Homesense in town and I love it! 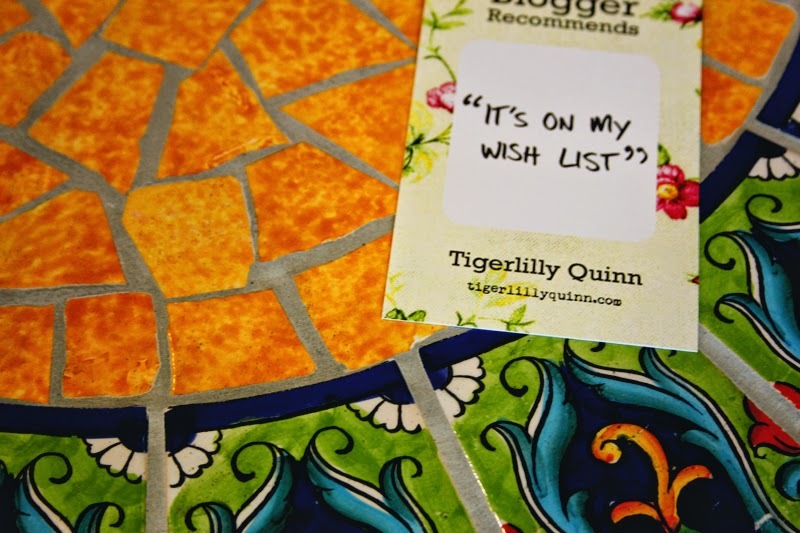 It's so eclectic and quirky and you can find some really gorgeous items in there! Some stuff is quite pricey mind you, but I've bought my fair share of things for our home in there! Fab event! Lovely pick! Would have a look when I pass by them! Wow that's fantastic! What a wonderful thing to be involved in :) Well done you! love the cushions! I find that having 3 children no matter how often I do a declutter we seem to be swimming in stuff and have very little space. What a great idea and it looks like they have some great bits to choose from. We will be redecorating when we move so I will have to see where my nearest store is! I've never heard of Homesense before but I like the idea of dropping in and getting advice! 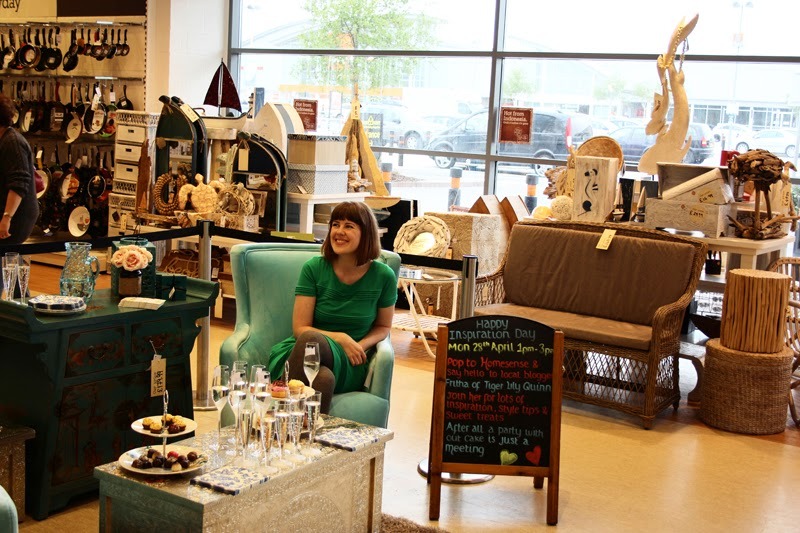 This looks like so much fun :-) I've never been to a Homesense before (is it a Bristol thing? If not I will hunt one down) but it looks great. looks like a great store, love all the Moroccan items! Stunning store, adore colour too-just moved to a new house and loving designing it!